Ambit Energy is proud to offer you powerful tools, greater conveniences and innovative plans. From picking a plan that meets your needs to being able to manage your account from anywhere, whatever your energy needs are, we have you covered. 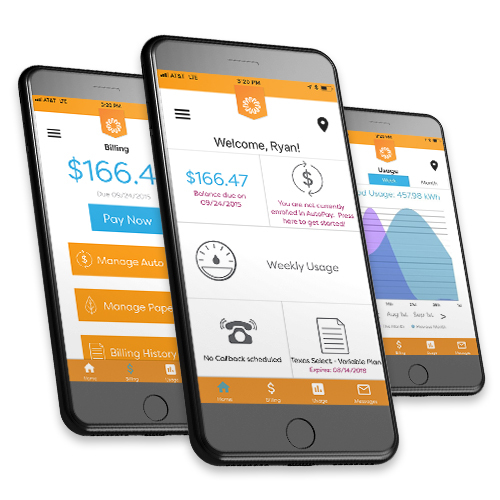 Learn more about these great Ambit offers exclusively for Texas Customers: the Ambit Wholesale Club, Amazon Alexa, MyAmbitMobile Customer app, Free & Clear Nights and our T.L.C. Pledge. Join the Club! With the Ambit Wholesale Club, you’ll have access to real-time wholesale electricity prices, without any markup. You must be a residential Texas Customer with a Smart Meter to be eligible for the plan. Pay a daily club fee of $1.25, or 99 cents if you sign up for automatic payments and get access to wholesale electricity prices. Energy prices are pulled directly from ERCOT Real-time pricing, please see the EFL for details. Download our app with tools designed just for Wholesale Club members and use the app to monitor ERCOT real-time prices and manage your usage to capture savings. Use more when the price is low and less when the price is high. Best suited for higher-use consumers of electricity. Now you can get your electricity at wholesale prices with the Ambit Wholesale Club! Want to know more? Check out our Wholesale Club FAQs or view the video. The 99-cent daily fee applies to Customers enrolled in Ambit’s automatic payments. Customers not enrolled in automatic payments will be billed $1.25 a day to participate in the AWC plan. Please see the EFL and other plan documents for more information about the plan. 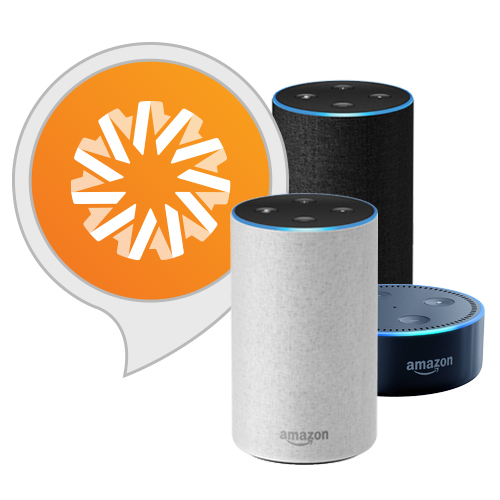 Amazon, Alexa and all related logos are trademarks of Amazon.com, Inc. or its affiliates. Ambit Energy Customer Skill on Amazon's Alexa Service is conditioned upon your acceptance of Ambit’s Terms and Conditions here https://www.ambitenergy.com/alexa-skill-terms-of-use. Please read the Terms and Conditions and all other applicable rules, polices and terms including those of Amazon.com. Only customers with accounts in Texas are enabled to use the Ambit Energy Customer Skill at this time. The Ambit Energy Customer Skill on Alexa brings your account details and other helpful information to any Alexa-enabled device. What kind of plan am I on? Set up Auto Pay and Paperless Billing. For more information, check out the MyAmbitMobile frequently asked questions, then download the app today. Service currently available in Ambit Texas markets served by Oncor, Centerpoint, Texas New Mexico Power, AEP Central and AEP North. 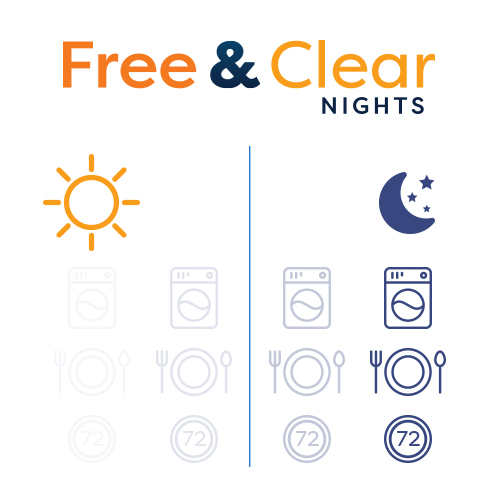 Free nighttime hours are from 9:00 p.m. to 5:59 a.m. CT.
What will you do with your Free Nights? Enjoy more family movies? Share a gourmet meal? Crank the A/C? Shifting your energy to evenings when it won’t cost you a cent and knowing it’s wind-powered 24/7—that’s value, that’s Free & Clear. Free & Clear Formula and TDU Fees! Try It. Like It. Or Change It. It’s simple. We’re so sure you’ll love the Free & Clear Nights, Lone Star Plus 12, Lone Star Basics 12 or Wholesale Club plans that we make you a pledge. Try one of these plans and if you aren’t happy, let us know within 60 days and we’ll change it to another Ambit plan of your choice for free. That’s our pledge to you. This promotion applies to new and existing Ambit residential Customers. You must change your plan to another Ambit plan within 60 days of your enrollment date for Ambit to waive your early termination fee. The early termination fee applies if you change plans after 60 days or you cancel your service with Ambit after your rescission period. You are only allowed to change plans once for Ambit to waive your early termination fee. Is your monthly usage over 50,000 kWh?